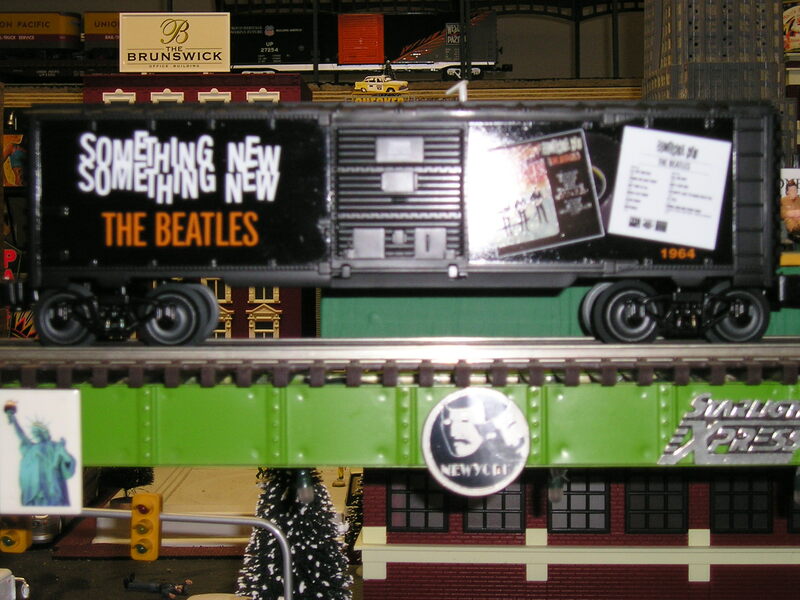 Trains Beatles Beatles Something New BoxCar measurements are 9 1/2" X 2 1/2" $ 75.00 Click Here to see a photo of the item. 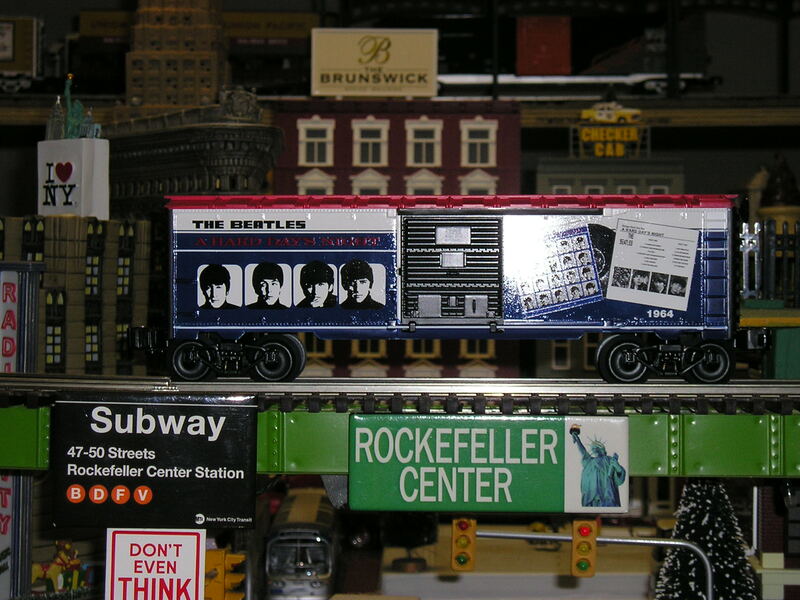 Trains Beatles Beatles A Hard Days Night BoxCar in the UK Album Colors measurements are 9 1/2"X2 1/2". $ 75.00 Click Here to see a photo of the item. Trains Beatles Beatles Meet The Beatles and The Beatles Second Album BoxCar Set. Each car measures 9 1/2" X 2 1/2". $ 130.00 Click Here to see a photo of the item. 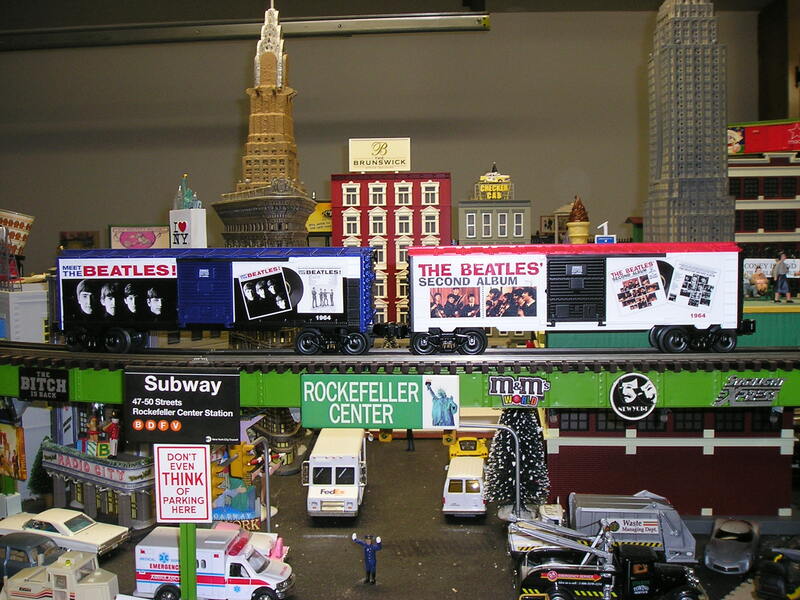 Trains Beatles Beatles Yellow Submarine Aquarium Car - Animated with light measurements 9 1/2" X 2 1/2" $ 99.00 Click Here to see a photo of the item. 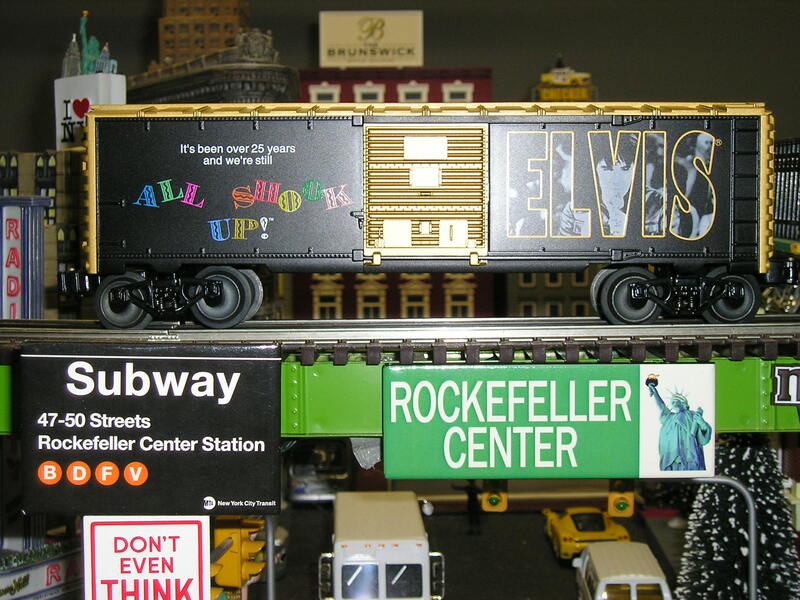 Trains Elvis Presley Elvis Presley Elvis Has Left The Building BoxCar. 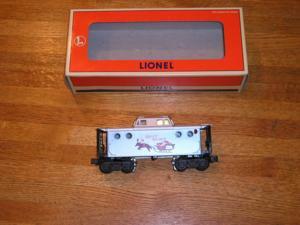 Lionel 6-39262 $ 75.00 Click Here to see a photo of the item. 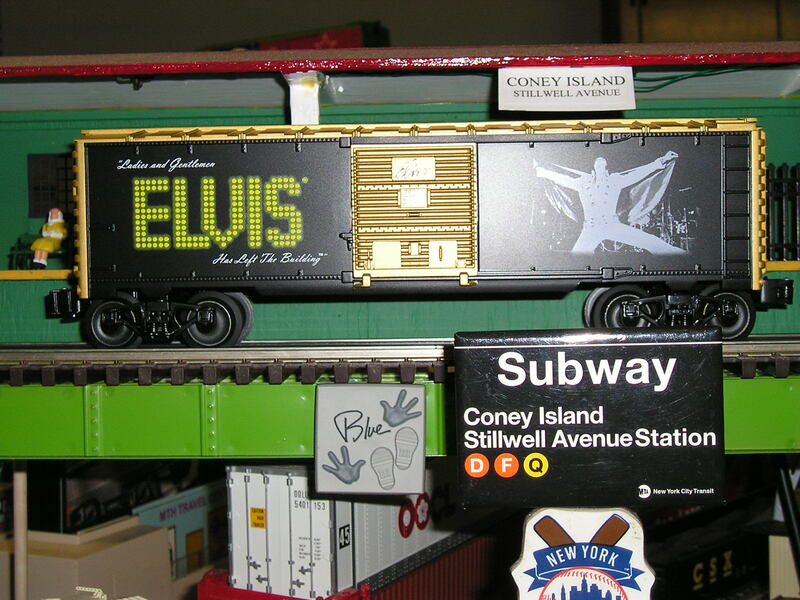 Trains Elvis Presley Elvis Presley Lionel All Shook Up BoxCar Lionel 6-39258 $ 75.00 Click Here to see a photo of the item. 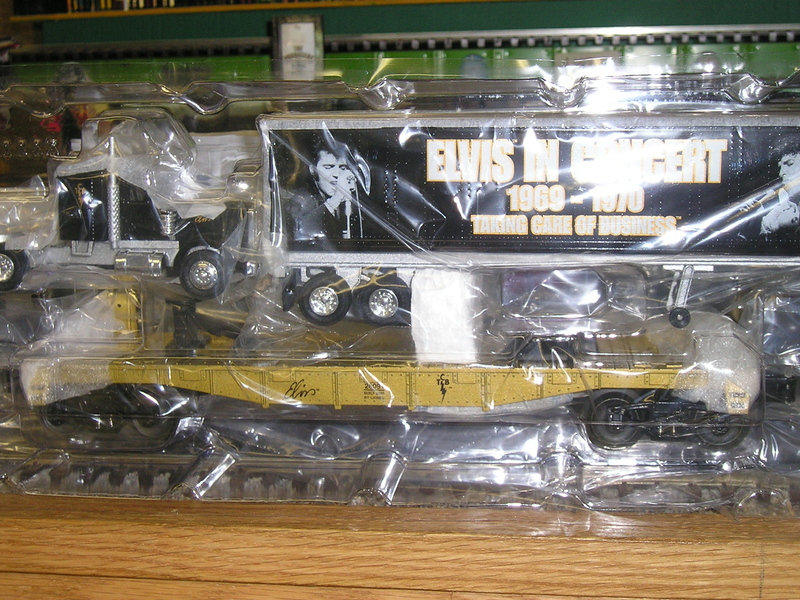 Trains Elvis Presley Elvis Presley Flatcar with Tractor Trailer. 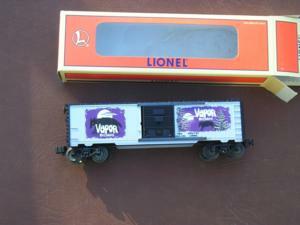 Lionel 6-26091 $ 90.00 Click Here to see a photo of the item. Trains Flat car Tank Star 2 on a flat car: The following "O" Gauge Trains are Custom Built with actual wood flooring at the base of the flat cars. 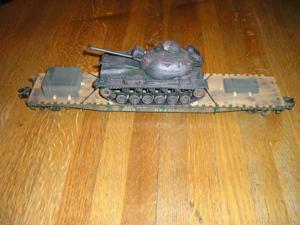 The Military Tanks are all Die Cast. $ 175.00 Click Here to see a photo of the item. Trains Flat car Toro Tank on a flat car: The following "O" Gauge Trains are Custom Built with actual wood flooring at the base of the flat cars. The Military Tanks are all Die Cast. $ 175.00 Click Here to see a photo of the item. 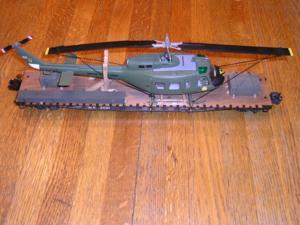 Trains Flat car Huey Helicopter on a flat car: The following "O" Gauge Trains are Custom Built with actual wood flooring at the base of the flat cars. The Military Tanks are all Die Cast. $ 200.00 Click Here to see a photo of the item. 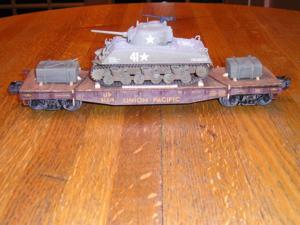 Trains Flat car Sherman Tank on a flat car: The following "O" Gauge Trains are Custom Built with actual wood flooring at the base of the flat cars. The Military Tanks are all Die Cast. $ 175.00 Click Here to see a photo of the item. Trains Flat car Tank 41 with Star on a flat car: The following "O" Gauge Trains are Custom Built with actual wood flooring at the base of the flat cars. The Military Tanks are all Die Cast. $ 175.00 Click Here to see a photo of the item. 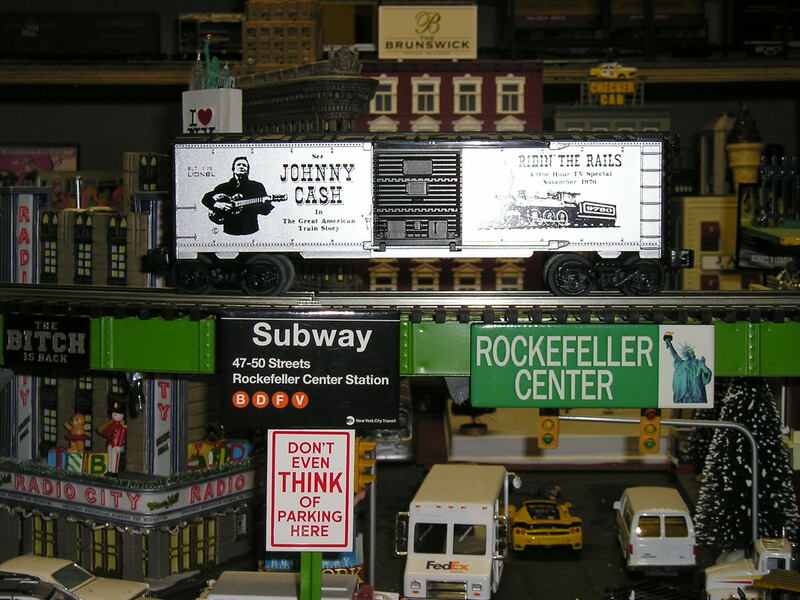 Trains Johnny Cash Johnny Cash BoxCar Lionel 6-9780 $ 90.00 Click Here to see a photo of the item. 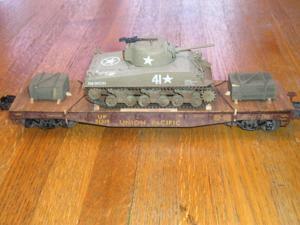 Trains M48 Tank M48 Tank on a flat car: The following "O" Gauge Trains are Custom Built with actual wood flooring at the base of the flat cars. 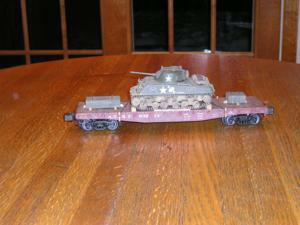 The Military Tanks are all Die Cast. $ 175.00 Click Here to see a photo of the item. 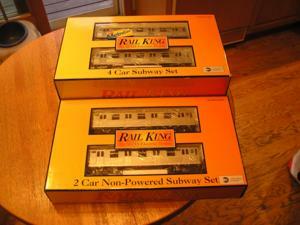 Trains Mike's Train House The Following "O" Gauge Train is the MTH (Mike's Train House) World Trade Center 4 Car Subway (Engine and 3 cars) Plus the 2 Car Add-On Set. $ 750.00 Click Here to see a photo of the item. 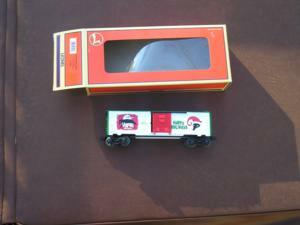 Trains Neil Young Vapor Records Light-Up Caboose: The following Box Cars and Caboose are ALL available individually. They were produced by LIONEL for Neil Young - Yes that Neil Young. $ 100.00 Click Here to see a photo of the item. Trains Neil Young Vapor Records Box Car 29218: The following Box Cars and Caboose are ALL available individually. They were produced by LIONEL for Neil Young - Yes that Neil Young. $ 75.00 Click Here to see a photo of the item. 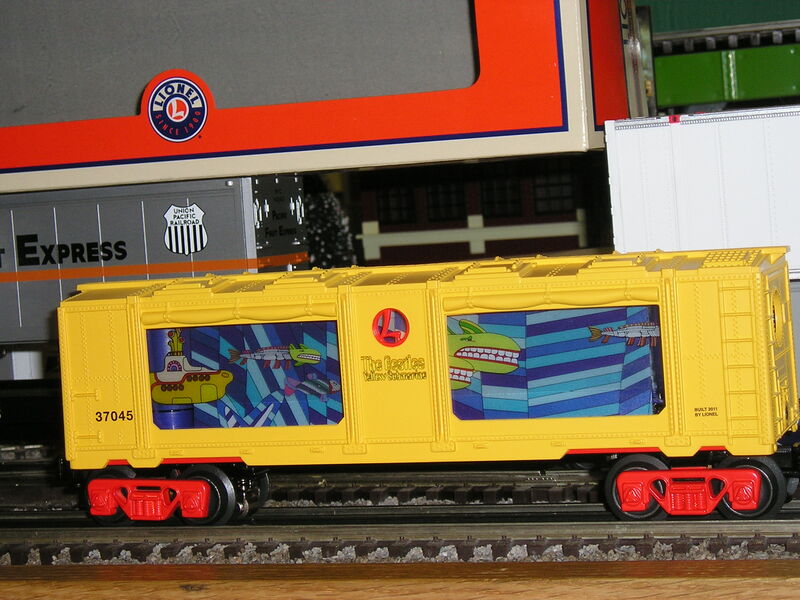 Trains Neil Young Vapor Records Box Car 26208: The following Box Cars and Caboose are ALL available individually. They were produced by LIONEL for Neil Young - Yes that Neil Young. $ 75.00 Click Here to see a photo of the item.